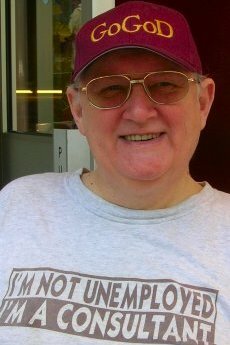 T Mark Hall (1947 - 2013), Honorary Vice-President of British Go Association and a 4 dan player from the same. In partnership with John Fairbairn, T Mark Hall produced the Games of Go on Disk (GoGoD CD). He first learned of the game in 1966 and was immediately hooked on it and he was lucky enough to get a job in Tokyo for almost 3 years. A song about T Mark "Yet another T Mark Hall song"
Two time British representative to the WAGC, the second time in 2010.